In 1990 OAITH began collecting the names of women who’ve been murdered by their current or former male partner. Since 1995 we've published the Annual Femicide List of women who've been taken from us. 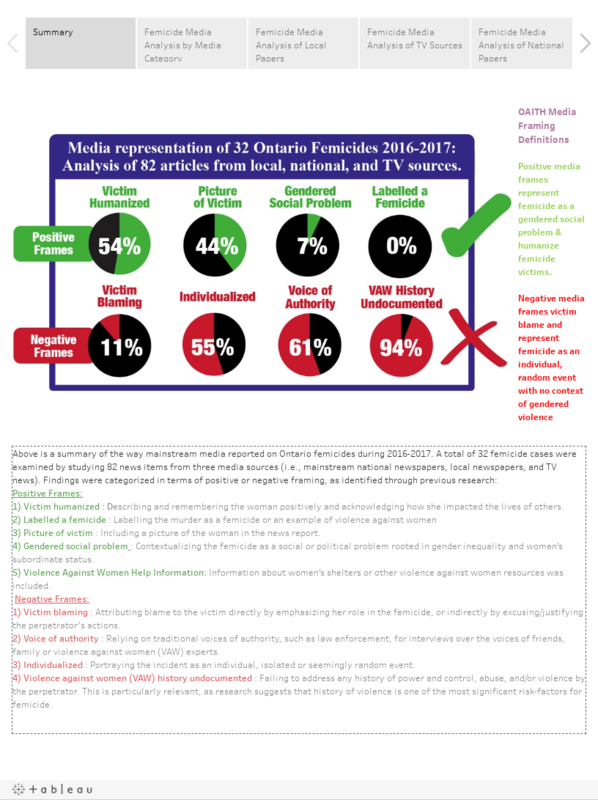 Each year OAITH releases a list of names reported on by the media in Ontario to remember and bring attention to the issue of violence against women. 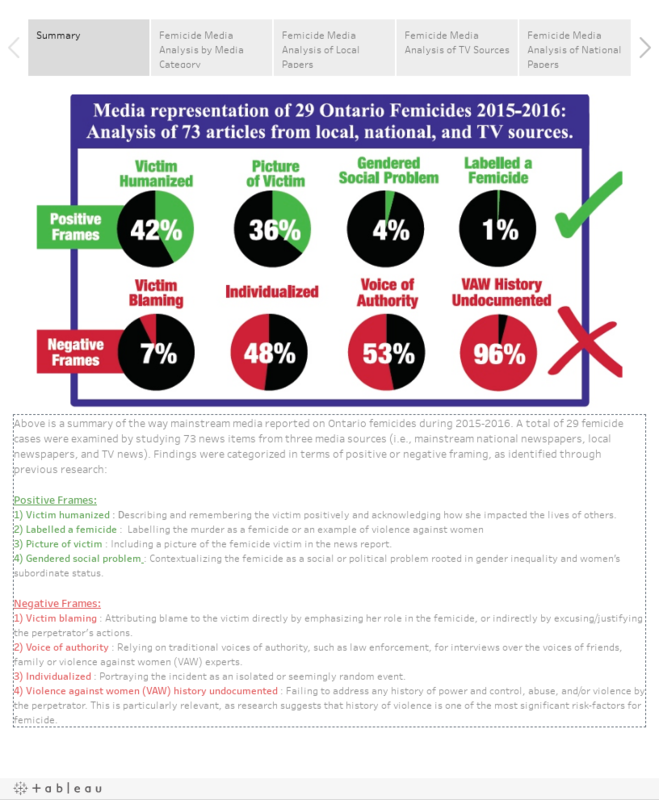 We will continue publishing the Annual Femicide List until no more names need to be added. 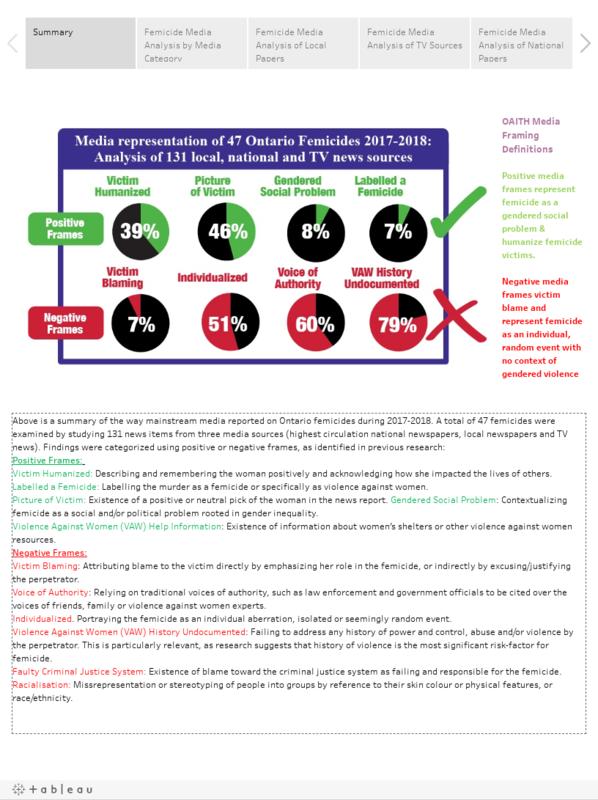 In addition to the Annual Femicide list, OAITH, in partnership with Dr. Mavis Morton at University of Guelph critically examine media reports of femicide using 5 positive and negative frames to evaluate and analyze media reporting. We release our Media Analysis each year on December 10th, Human Rights Day.